Winner of our Joke Competition is...Alison Sherwood. Winning joke. Well done to both of you. Thanks everyone for taking part. Kay goes crackers at Christmas! 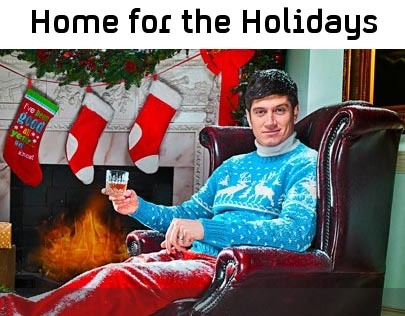 Absolutely Crackers are suppliers for Vernon Kay's Home for the Holidays game show on Channel 4 starting Sunday 18th December 2011. Just about everyone it seems as Channel 4 unwraps a brand new live entertainment event, Home for the Holidays. One soon-to-be-married couple brings their two extended families together under one roof for the first time in the run up to Christmas... What could possibly go wrong? Tune in live each evening as the families are faced with Christmas dilemmas, temptations and games as they try to win a fantastic Christmas present - up to half a million pounds. Can the engaged couple keep everyone together as they face a festive family experience like nothing that has ever been seen before? If you think Christmas with your nearest and dearest is a challenge, wait till you see what's waiting for the family in Home for the Holidays. ITV's Cool Stuff Collective Reviews this years best crackers which included Absolutely Crackers Balloon Modelling cracker set. Children from the Coolstuff Common Room give their opinons. Saturday 8.00am - 17th December 2011. Clip of a company in Wembley making Christmas Crackers from 1950. 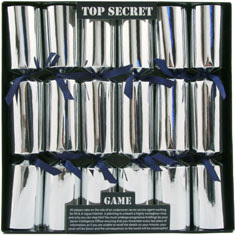 Tom Smith are releasing new sets of game crackers for Christmas 2011. The game that ties you up in knots. Also includes a fantastic after party Freestyle Twister Game. Every Word Counts - With Mini Board Game. Each cracker contains an identical jigsaw with nine different letters on it. 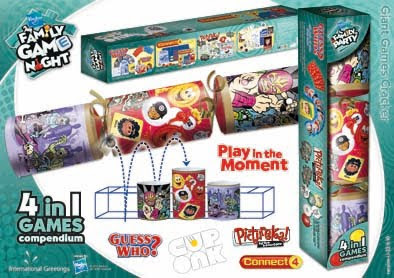 The first game has players race to see who can put the jigsaw together first, the second game is a knock-out tournament where players take it in turns to come up with different words using the nine letters on the jigsaw, and in the third game, players try and work out the nine letter Conundrum. GO, GO JIGSAW BOGGLER! All players take on the role of an undercover secret service agent working for MI-6. A rogue chemist is planning to unleash a highly contagious virus and only you can stop him! You must undergo progressive briefings by your Senior Intelligence Officer ensuring that you remember every last piece of information, as if you are unable to recall the details on your mission, your cover will be blown and the consequences to the world and yourself will be catastrophic! Roll up, roll up for the Great Variety Talent Show and see if you’ve got what it takes to become a Star! Each Cracker contains a Talent Act, a novelty relating to that Act and a draft script to help you perform the Act. 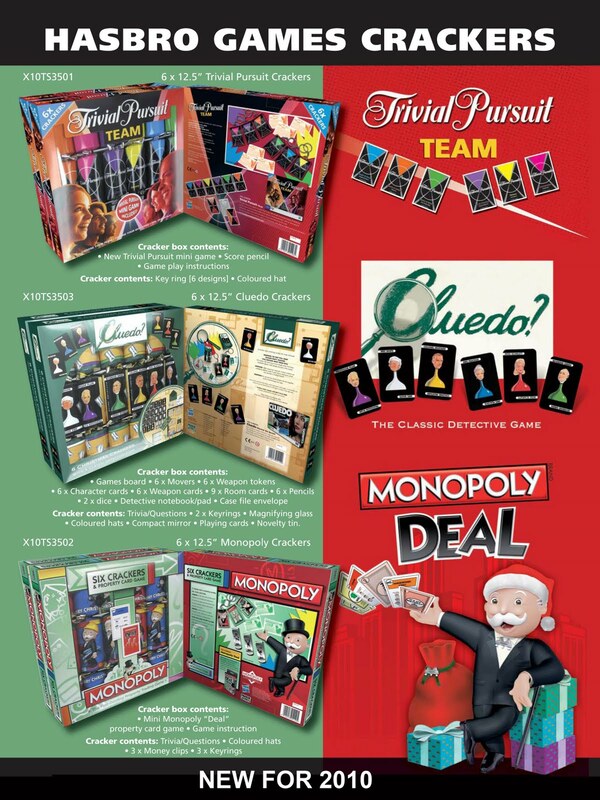 You could be a Singer and Dancer; a Mind Reading Magician; a Balloon Modelling Expert; a Poet Impersonator; a Christmas Choir Conductor; a Swanee-Whistle and Kazoo Cover Band, or a Memory Master Card Sharp. These Crackers really have got Star Quality, the question is, have you? RAF Association fundraisers joined thousands of Christmas shoppers at the Metro Centre in Newcastle on Saturday for a festive world record attempt. 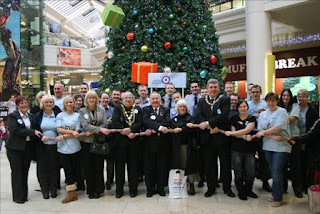 The aim was to encourage members of the public to become record breakers by making a long line all around the shopping centre, linking arms and all pulling a cracker at the same time. Spirits were high as men, women and children of all ages joined in with the countdown and heard the ear splitting crack as all the crackers were pulled followed by a big cheer afterwards. The crowds came close to scooping the Guinness World Record but unfortunately they did not manage to break the record set by a Honda Factory in Japan, which stands at 1,478. They did, however, manage to achieve a new British record of 1,168. Pull a Cracker World Record attempt for RAFA at the Metro Centre! Thousands of Christmas shoppers will have the chance to be part of a festive Guinness World Record attempt at the Metro Centre on Saturday (5 Dec 2009). The “Pull a Cracker for RAFA” event will take place at 11am and will involve a huge chain of people stretching across the shopping centre all crossing arms and pulling a cracker at the same time. It is hoped that around two thousand people will join together in the massive world record attempt and every cracker pulled will help support serving RAF personnel. All of the money raised will go to the RAF Association, a charity which provides friendship, help and support for past and present members of the RAF and their families. Some of the funds will go specifically to the charity’s latest project – Storybook Wings. Before leaving for their tour of duty, RAF personnel can record their child’s favourite story at their home base, using professional recording equipment and the skill of an experienced editor. Once they have recorded the story, music and sound effects are added, making it even more special. They can also record their own message at the end, telling their children how much they miss them and that they will be home soon. 2,400 RAF personnel will be separated from their families this Christmas due to overseas operations and every person who pulls a cracker could be helping to make Christmas more bearable for their young children. It is hoped that people from all over the North-East will come along on Saturday and get well and truly into the festive spirit! We will exhibiting our range of Wedding Crackers at the Wedding Exhibition in Milton Keynes Shopping Centre from Friday 2nd October to Sunday 4th October 2009. 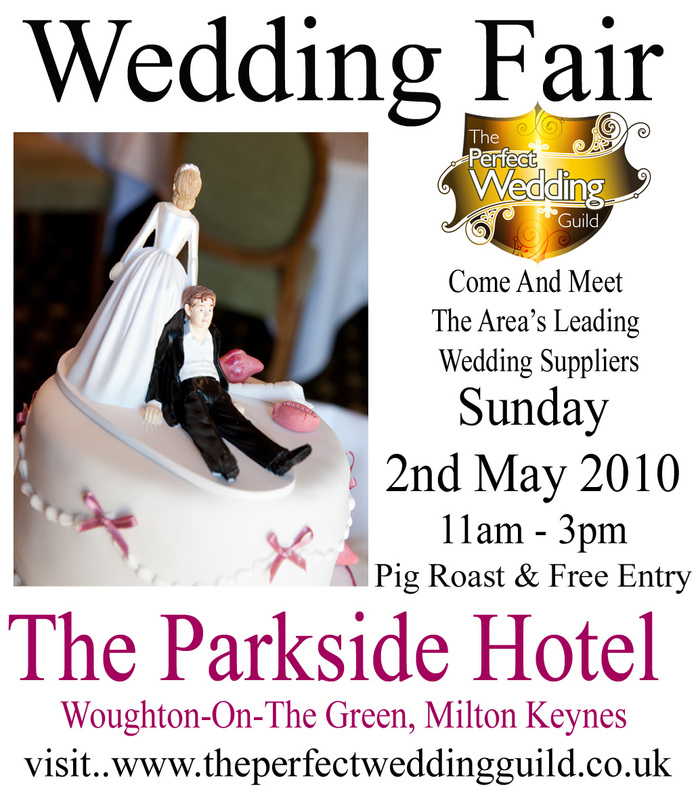 If you are in the area then why not pop over to our stand and say hello. This show is in its' 20th year, being held twice a year and has approx 125 exhibitors all under one roof, probably the biggest show in the region. There will be catwalk shows at the weekend... Saturday and Sunday shows and are being held at 12 midday, 2pm and 4pm both days.One big aspect at this show is the number of venues exhibiting, which you do not usually get at smaller fairs...here there are 23 different venues available as your starting point to book your wedding. Combine that with vast amounts of other choices of bridalwear, photographers, florists, cakes, cars, horse and carriage, menswear, catering, bands, discos, lingerie, beauty, stationery, video, toastmasters, balloons, choc fountain, hats, magician, mother of the bride, tiaras and jewellery and you have the complete set of all you need. OPENING HOURS: Friday 9.30am - 8pm, Saturday 9am - 6pm, Sunday 11am - 5pm. Premier League Football Party Christmas Crackers - including Manchester United, Liverpool, Everton, Arsenal, Chelsea and Celtic. Casino Party Game Crackers - everything you need to play your favourite casino game. High School Musical Crackers - Each crackers contains a HSM novelty, a must for any HSM fan. Thornton Chocolate Dinner Crackers by Robin Reed - Indulge yourself with our dinner party crackers with a choccy treat inside. Handbells Musical Crackers - Inside each handmade cracker you will find a different coloured metal handbell each with a different ring plus numbered badge which everyone should wear. Nominate someone to be the conductor who, following the simple numbered music sheet and using the enclosed baton, points at each person (depending on their badge number) to ring their bell - the result: beautiful music....or total chaos ! Fink Conversation Crackers A cracker to make you Think? Those tired old jokes are replaced with wonderful questions from Finks Family Edition, including... “Would you rather be a grown-up or a child?” and “What is your earliest memory?”. 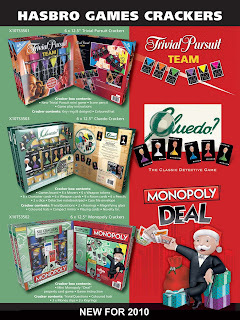 It’s a great way to get to know more about your family and friends at the festive table or for any occasion. Each cracker contains a novelty and paper hat and are available in boxes of six. The Queen has ordered a festive crackdown to acknowledge the credit crunch starting with her Christmas crackers. "The directive has come from the top that the family must be in tune with the rest of the country," a royal source was quoted as saying by the News of the World. "She is aware that extravagance would not be welcomed at this time." The monarch has axed posh gifts from inside the crackers. 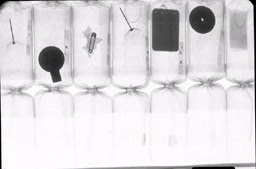 In the past, the family’s hand-made crackers have contained items like Montblanc gold cuff-links and expensive lighters. But Royal warrant holder Tom Smith, which has made crackers for the monarch for 100 years, has been ordered to use cheaper gifts this year. Question: What year was the Christmas Cracker invented? Here's a clue... the answer can be found within our site. Entries should reach us no later than 15th December 2008. 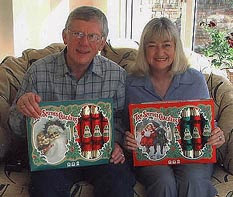 KEITH LANGFORD, managing director of cracker-making business Absolutely Crackers, in Milton Keynes, spends his entire year, not just Christmas, with crackers on his mind. 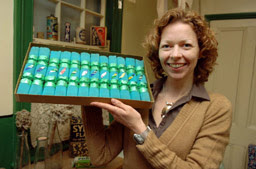 "The bulk of our cracker sales used to be in the USA," says Keith, "but, over the last three years or so, our sales in the UK have overtaken America. My website is a one-stop cracker shop where people can buy for all occasions. Crackers are certainly not just seasonal nowadays, though of course the most traditional time for crackers is still the festive season. 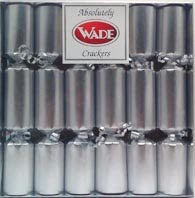 "Crackers are now popular at many different functions and their popularity is growing all the time. "Wedding crackers are a very popular buy. They contain cherubs, charms, and other wedding-related items. And they look great on tables at receptions. Collectible crackers are a big hit too. Wade Whimsies and various other figurines are inside them and provide mementoes of a lovely dinner or celebration for those attending. 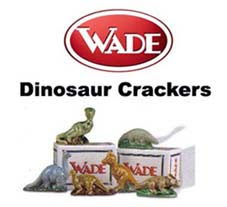 "The cracker's been around for more than 150 years. It was invented in 1847, almost by accident, by Victorian baker Tom Smith. It was a very simple idea that went on to become an integral part of British celebrations and tradition. "Tom Smith was forward thinking, often travelling abroad to search for new ideas and, on a trip to Paris in 1840, he discovered the 'bon-bon', a sugar almond wrapped in a twist of tissue paper. It was a simple idea that over the next few years would evolve into the cracker. "He brought bon-bons to London where they proved very popular over Christmas. When sales dwindled in January, Tom decided to place a small love motto in the tissue paper and encouraged his suppliers to buy. "Tom was on to a winner. He wanted a 'crackle' to add a spark of excitement to his novelty bon-bon and experimented to find a compound to give a suitable bang caused by friction when the wrapping was broken. "He increased the size but kept the bon-bon's shape, the motto, and added a surprise gift. The cracker was born, and Tom Smith's business went from strength to strength." Has Keith a favourite amongst the many styles of crackers? "There's no easy answer to that," he says. "I have a soft spot for them all, from traditional ones and themed ones, such as Harry Potter and The Simpsons, to cracker kits that are assembled by the customers who then add their own chosen gifts. "A current big hit with my customers are Musical Concerto crackers. "Each one holds a different musical note whistle and, by using the music sheet included, folk can play both everyday and Christmas songs. Great fun!" And will Keith spend Christmas knee-deep in crackers? "You bet! I sleep, eat and breathe crackers 365 days a year. In fact, I'm Absolutely Crackers!" Pull the other one, Keith! Visit www.absolutelycrackers.com for more information. Bhs has made sure that Christmas will go with a bang this year, by hiding £100,000 in their Christmas Crackers.One lucky person might find the winning ticket (sparkling and golden in the best Wonka tradition) any time between now and Christmas. The ticket can be redeemed for £10,000 cash to spend wherever and on whatever the lucky winner decides. In addition to the £10,000 ticket, 10 Bhs crackers will contain silver tickets worth £1,000 and a massive 8,000 crackers will contain £10 vouchers to spend at Bhs. 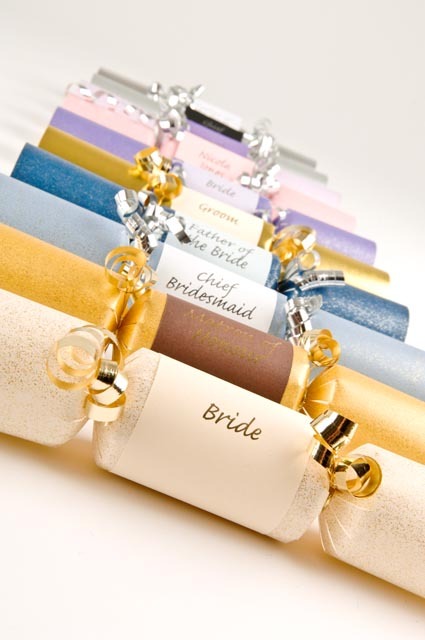 The Christmas cracker was invented over 150 years ago by a confectioners apprentice called Tom Smith. Aiming to make his bon-bons more exciting, and inspired by the crackling of a log fire, he combined a colourful paper wrapper, some sugary treats and a little saltpetre to create the forerunner of the crackers we know today. Over the years crackers have contained bigger and better gifts, but rarely as big as Bhs's £100,000 bonanza. 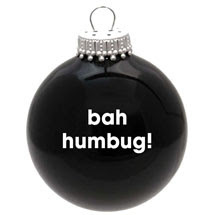 Crackers are one of Bhs's bestsellers at Christmas, and have already started to fly off the shelves. As well as crackers, Bhs has unusual stocking-fillers, sparkling decorations and creative gift ideas for the whole family, making it one of the nations favourite Christmas shopping destinations. 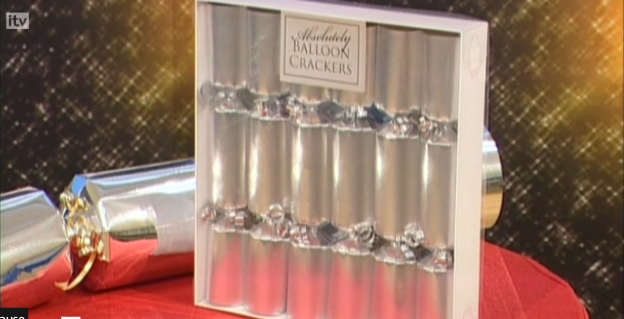 Our Jumbo Cracker kits were featured today on Antony Worrall Thompson's ITV's Countdown to Christmas 2004 at 5pm. Design guru Gordon Whistance, who also presents on the show, creates a bang using our 2ft cracker kit. – He looks at the huge range available, how to make your own personalised Christmas cracker and concentrates on decorations all around the home. Q: What mint can't you eat? Q: Where do policemen live? Q: Which panto is set in a chemist's shop? Boss Keith Langford, 30, of Absolutely Crackers in Milton Keynes, Bucks, said: "We don't want to upset the Americans. We do a lot of business with them."